The lyrical world of Chinese poetry in faithful translations by Kenneth Rexroth. The lyric poetry of Tu Fu ranks with the greatest in all world literature. Across the centuries—Tu Fu lived in the T'ang Dynasty (731-770)—his poems come through to us with an immediacy that is breathtaking in Kenneth Rexroth's English versions. They are as simple as they are profound, as delicate as they are beautiful. 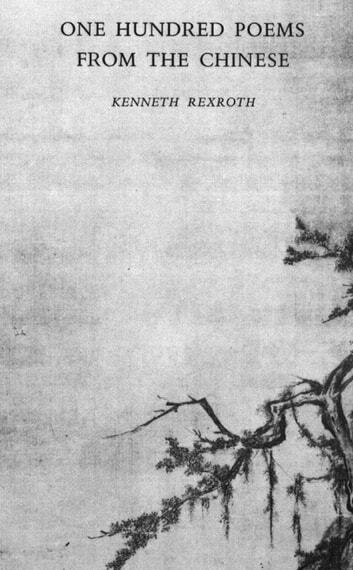 Thirty-five poems by Tu Fu make up the first part of this volume. The translator then moves on to the Sung Dynasty (10th-12th centuries) to give us a number of poets of that period, much of whose work was not previously available in English. Mei Yao Ch'en, Su Tung P'o, Lu Yu, Chu Hsi, Hsu Chao, and the poetesses Li Ch'iang Chao and Chu Shu Chen. There is a general introduction, biographical and explanatory notes on the poets and poems, and a bibliography of other translations of Chinese poetry.